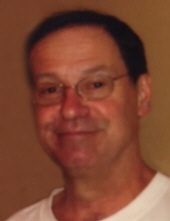 Michael Robert Manahl, 69, of Waterloo, died last week at his home after a brief illness. He was born October 20, 1949, in Waterloo, the son of Robert and Frances Wirth Manahl, growing up in Evansdale. A graduate of Columbus High School, Mike was employed by John Deere for 42 years, working at several of the Waterloo sites, before retiring in 2015. Survived by: a sister, Annette (James) Mears of Coal Valley, Il. ; a brother Kenneth of Springfield, Va.; five nieces and nephews, Andrea, Matthew (Gina), Cassandra, Louise and Richard as well as six grandnieces and grandnephews. Preceded in death by: His father, Robert; and his mother, Frances. Services: Visitation at 10 am Tuesday, November 20, at Hagarty-Waychoff-Grarup Funeral Service on South Street, with a remembrance service at 11 a.m., followed by entombment in the Mount Olivet Columnbarium. Memorials: May be directed to the family, or to the American Heart Association. Mike thoroughly enjoyed life. Mike loved to travel and explore, especially fishing trips to Canada with his buddies and vacations to the Atlantic Beach with his extended family. He enjoyed fishing, hunting, bowling, gardening, and reading. To send flowers or a remembrance gift to the family of Michael R. Manahl, please visit our Tribute Store. "Email Address" would like to share the life celebration of Michael R. Manahl. Click on the "link" to go to share a favorite memory or leave a condolence message for the family.